I enjoyed attending yesterday’s Military Breakfast Briefing and Users Group Meeting in beautiful, sunny Pensacola yesterday. This was a full house, with more than fifty attendees from military bases in the Southeast. We began with an agenda-setting session that focused on the use of Questionmark Perception reports, demonstrations of browser-based authoring in Questionmark Live and examples of mobile assessment delivery. 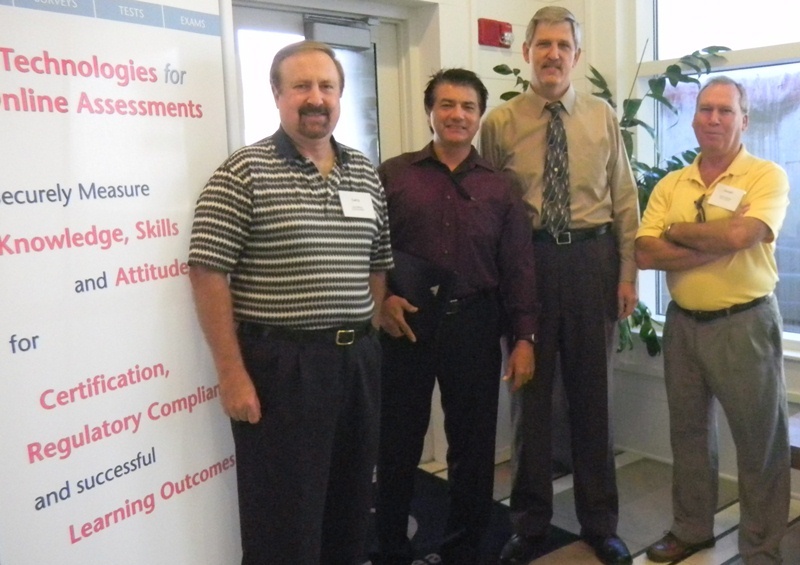 Other important themes for this group were software security and compliance with Federal Information Processing Standard (FIPS). In the afternoon, Perception users had the opportunity to drill down into more detail about coming product features, talk with Questionmark staff and network with colleagues. While this was a special regional event for military customers, we have also been running public Breakfast Briefings and User Group meetings in several major U.S. cities. The last of these will take place on Tuesday, November 9th, in Agoura Hills, near Los Angeles. A Breakfast Briefing in the morning will be followed by a User Group lunch and in-depth discussions. If you are in the Los Angeles area that day, I’d encourage you to attend! 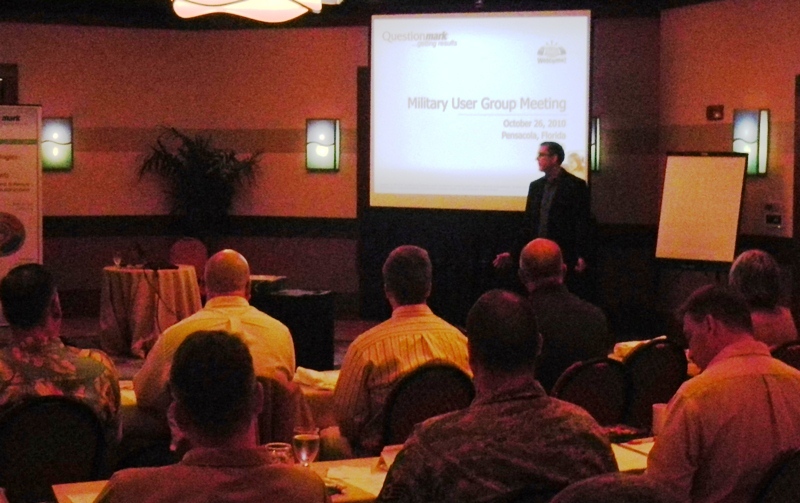 Military customers will have an opportunity to get together in Los Angeles, too, at the Questionmark 2011 Users Conference next March. Judging from the energy level at the Pensacola meeting, I think they’ll have plenty to talk about!